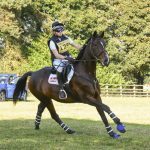 After a good season in 2018 its time now to look forward to the 2019 eventing season which is fast approaching. We have already started to plan our events and fit them in around my final year of A levels. Step up to novice towards the end of the season. I can’t wait for the 2019 season to start and to get out eventing again!